Toast the bread in a toaster or in the oven. Wash the avocados, cut them in half and remove the peck. Using fork take out the flesh and place in a bowl. Mash the flesh with fork to get a paste. Add chia seeds, olive oil, a generous splash of lemon juice (freshly squeezed) and mix all together. 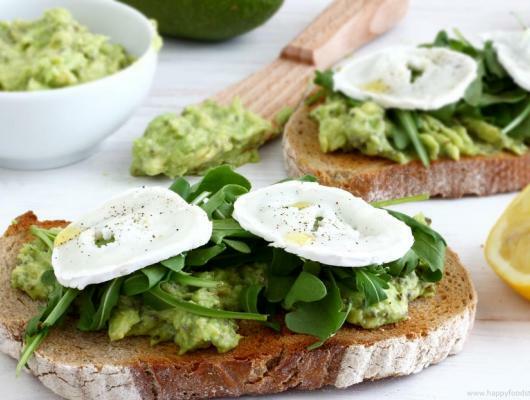 Place the toasted bread onto a plate & spread the avocado mix over. Top with arugula leaves and a few slices of goat cheese. Add some black pepper and an extra splash of olive oil, if desired. Serve for breakfast or as a snack any time of the day! 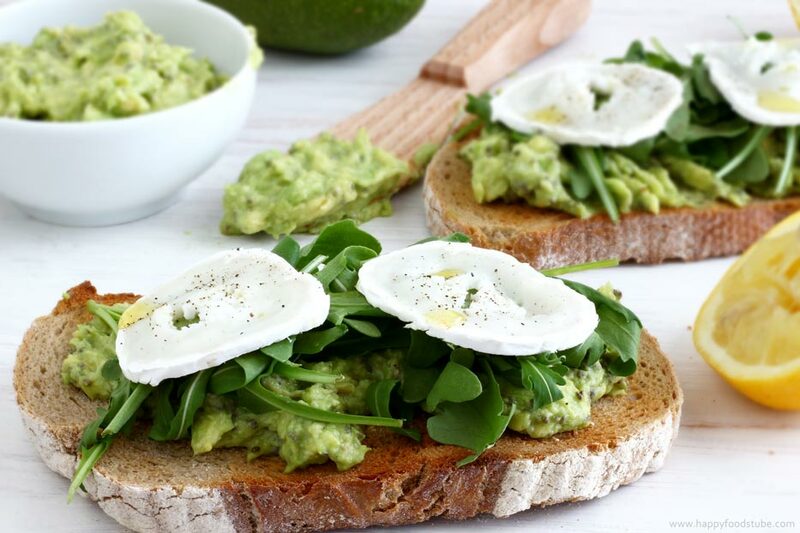 Start your day with this mouth-watering toasted sourdough bread with avocado spread! Simple, healthy & very very tasty!